With 800-Number playing an important role in our users’ lives we take their security very seriously. If you believe you have found a security vulnerability in 800-Number we encourage you to let us know right away. This gives us the opportunity to resolve the problem quickly before any other type of issue may occur. We are interested in learning about security issues on all 800-Number properties, including our client software, SDKs and web services owned and operated by 800-Number. Reporting is easy. Send an email to Info@800-number.info with all the relevant information you have. We’ll reply as quickly we can and keep you updated on the progress of the fix. Investigations can take time. You will need to give us time to investigate the issue you report before making public any information about the report or sharing information online or with others. You should avoid privacy violations and disruptions to others, including (but not limited to) destruction of data and interruption or degradation of our services. 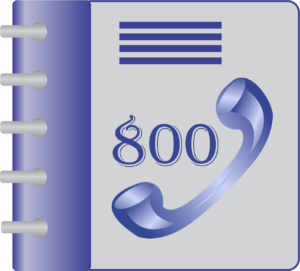 800-Number is under no obligation to disclose any of 800-Number’s security steps taken after the report is given. Our team will, however, reply to all security reports on the progress taken.